Featuring a brilliant view, rich colors and adjustable height options, the 23″ Dell™ UltraSharp U2312HM monitor with LED allows you to see vivid imagery from almost any angle. It offers a 1920×1080 (max) HD resolution, a vivid 2,000,000:1 (typical) dynamic contrast ratio and IPS technology, delivering outstanding color consistency across a wide viewing range. The range of tilt, swivel, pivot and height options let you select your best view. In addition, there are 4 USB ports, a DisplayPort, plus DVI and VGA connections, allowing you to link to a range of devices. Want to have a monitor with your personal style? 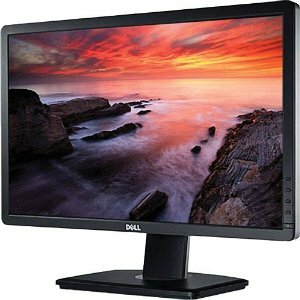 No problem with this Dell™ UltraSharp U2312HM monitor. It offers a wide range of customizable features to let you enjoy the best viewing experience and the most comfortable use. It features improved height adjustment range of 130mm (5.12 inches), allowing you to adjust the U2312HM to your desired height. Additionally, simply with the touch of a button, you can change your energy usage settings and text brightness. The easy-to-use color temperature slider can make colors cooler or warmer. The U2312HM meets EPEAT Gold and TCO Certified Displays standards, is ENERGY STAR® qualified and CECP compliant, making it not only environmentally friendly but also friendly to your electricity bill. When the PowerNap software is enabled, you can dim the monitor or put in sleep mode when not in use. When images are extremely bright, Dynamic dimming will automatically adjust the brightness.